There’s a shuffle underway in: Harlem: as a coalition of local church leaders attempt to edge out the: Rev. Al Sharpton: who they feel is too wrapped up in his celebrity and fame and neglecting the local black community. 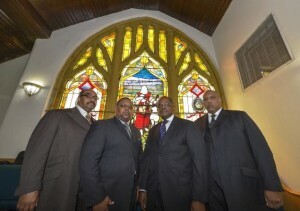 Four clergymen with: Speak Out and Say It Loud,: “a new coalition of black ministers determined to create a unified African-American power base with citywide clout,” believe Sharpton should “stick to national issues” and allow the coalition to “take the lead on local problems,” according to the New York Daily News. The pastors, who said they “are not hating on Al,” all feel Sharpton has not attended to the concerns of the local community because he’s too busy with his MSNBC show “PoliticsNation,” promoting his new book, “The Rejected Stone,” and otherwise “pursuing national fame and acclaim,” the article said. More from: NY Daily News. This post was used with the permission of BizPacReview.